Now that my daughter is getting older, we have several different bags that she uses. When she was a baby, it was one-stop shopping – everything in the diaper bag. Now she has her school bag, a pool/beach bag, a ballet bag, the list goes on! I have always saved the plastic cases from pillows, sheets and other household items as carriers to pack things. You can read about how I used these for baby items in my post on Practical Packing Part 2. Now that Olivia is officially potty-trained, I combined that idea with the plastic containers that toddler underwear is packaged in. 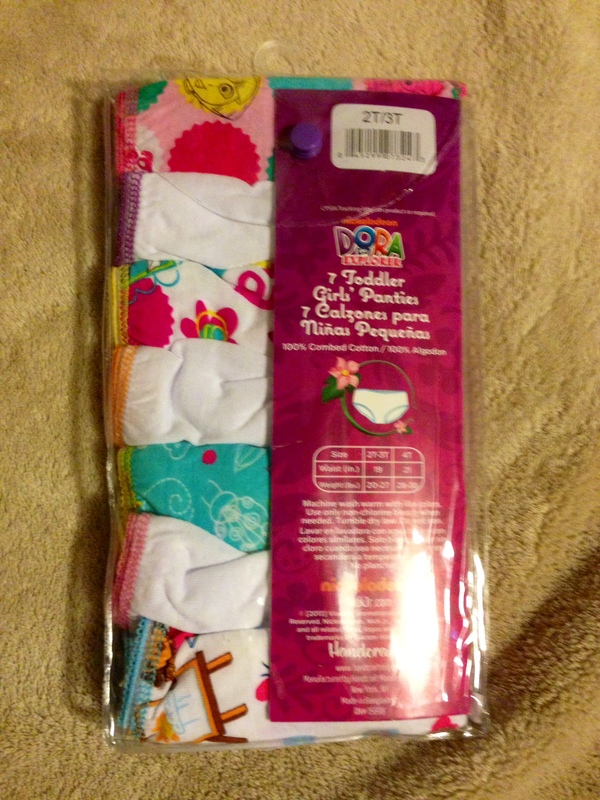 Here is a typical package of multi-pairs of toddler underwear, The packaging comes with a button snap at the top. 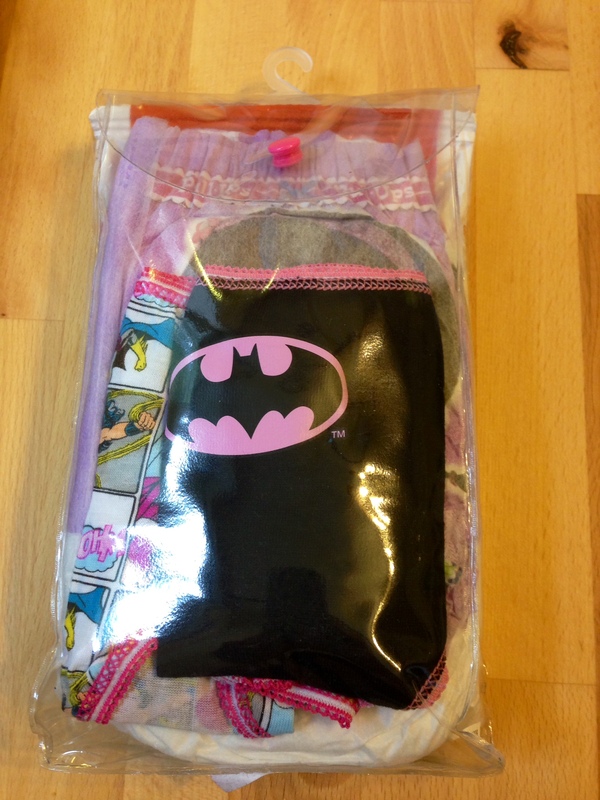 I take out all the underwear and cardboard branding and it’s a perfect size to make small bags of essentials. I have three basic types I make up. 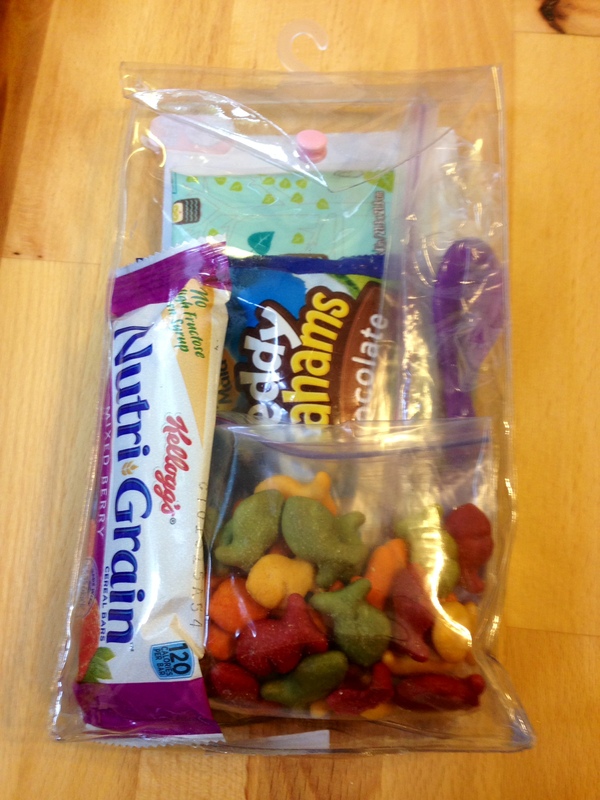 A dry snack bag with napkins, a few types of snacks, and a spoon and fork. 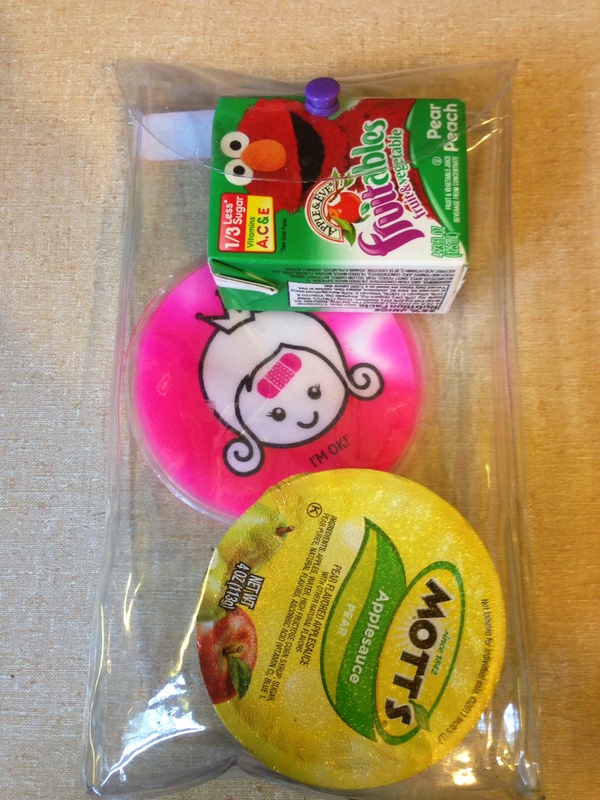 A cold snack bag with a juice box, applesauce or some type of fruit, and a small ice pack. An emergency bathroom bag with extra underwear, wipes, hand soap, and a pull-up. These are all easy to assemble. I make multiples of each and put in all the various bags we have, plus the car and my purse. Do you repurpose any packaging on items you buy a lot of? 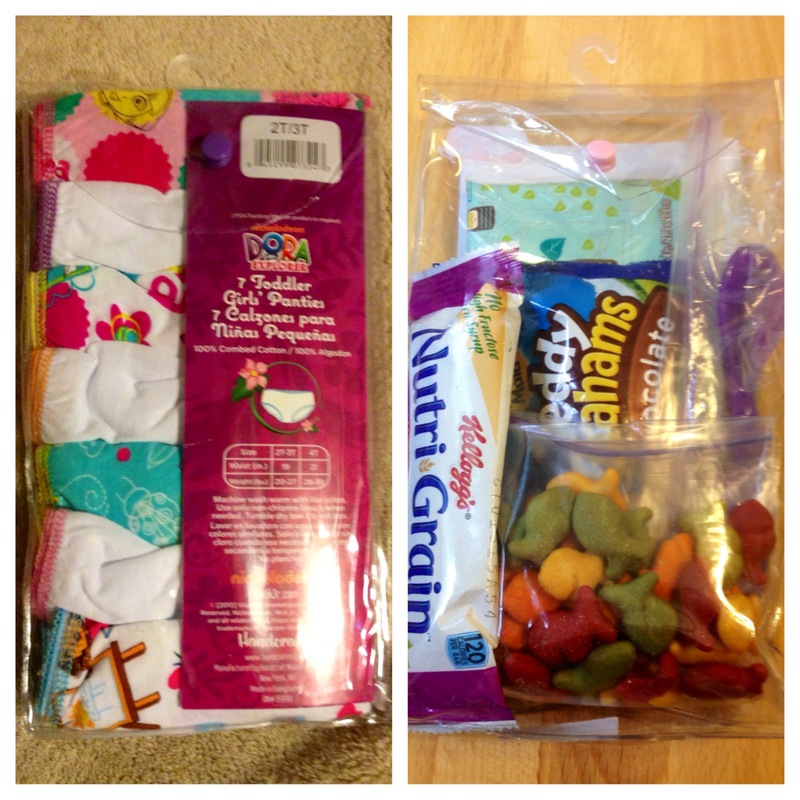 How do you handle packing different bags for a toddler? Leave me a comment and let me know. Thanks for reading. 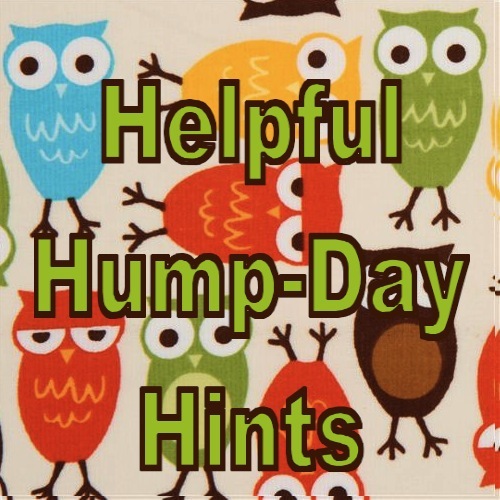 It’s Hump-day – we are almost to the weekend! Great idea! I like to keep bags in my laundry that are pre-packed for events. When I have something that need to be laundered I take it out of the dryer and put it straight in the bag. We have ballet bags, camp bags, Krav Maga bags, etc and our favorite, the “busy bag.” Saves me time when running out the door. Keeping bags in the laundry room – great idea!!! Congrats on your home news – so happy for you guys! Good ideas, Maureen! We reuse jars as pencil/pen holders in the kitchen and on our desks. Perfect! I am totally guilty of buying mason jars when I could reuse!! Reduce reuse recycle! Love it. I didn’t even know u read my blog!! Happy moving day!